The ELGS will utilize two of the EPLO’s premises in Greece for its study programs. 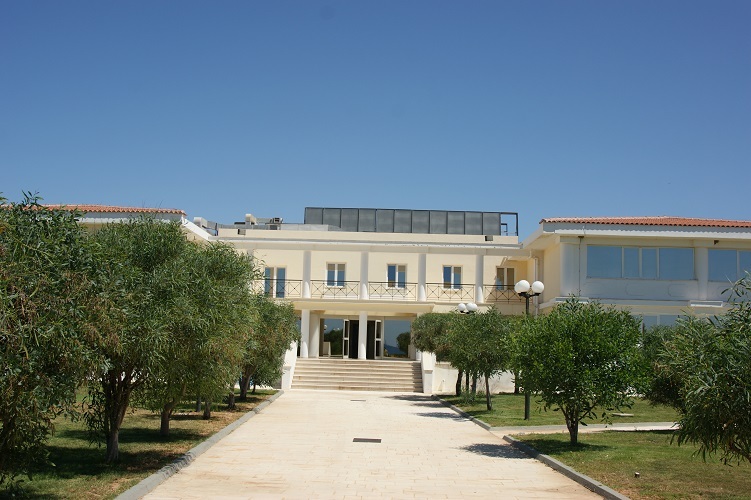 Undergraduate and Executive Education studies will be operated out of the facilities overlooking the Aegean sea in Legraina, while Postgraduate studies will be operated in the heart of Athens at Plaka. 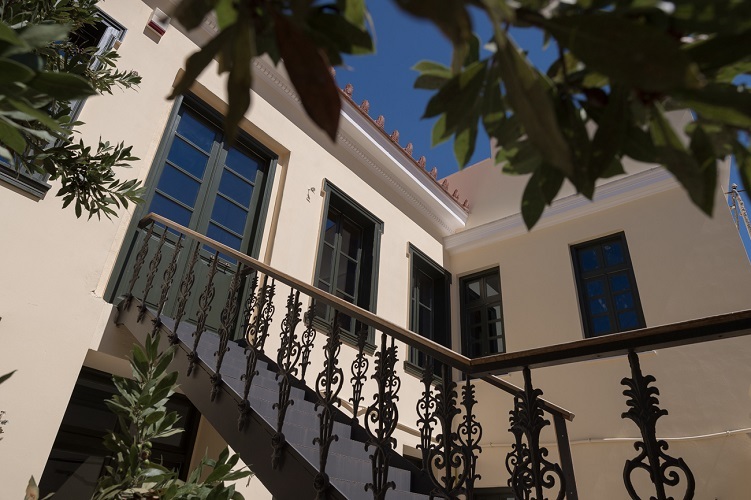 Located in the heart of Athens in Plaka at the end of the ancient Roman Agora, this newly renovated historical building has been delivered to the EPLO in the autumn of 2015 by the Greek state and is comprised of a conference room, classrooms, office space and an auditorium. 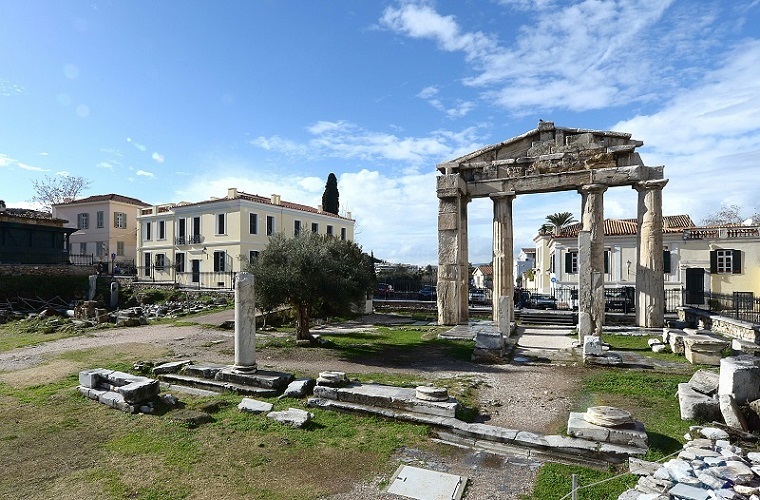 This old Athens area has definitely an undisputable charm, and is one of the most frequented by visitors and natives alike. 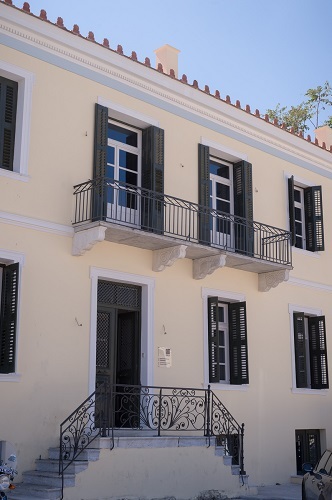 Plaka’s winding pathways carry thousands of years of history and its buildings’ facades are dressed in the19th century neoclassical design and architecture. Plaka is visited by hundreds of thousands of tourists around the year and is under strict zoning and conservation regulations. Museums in Plaka include the famous Acropolis Museum. The name Plaka became commonly in use in the first years of the rule of King Otto when the area was repopulated by the Athenians that had abandoned it during the severe battles that took place during the Greek independence war (1826). 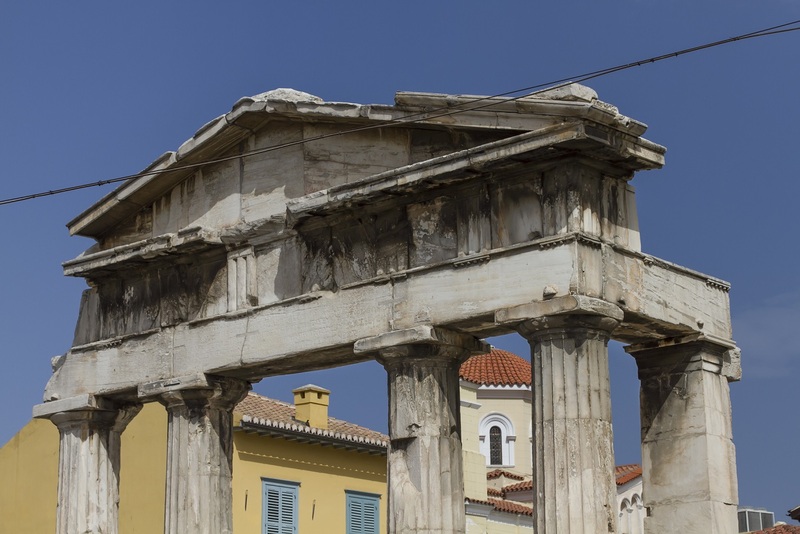 The origin of the name is uncertain: it is said that it comes from the Arvanite “Pliak Athena”, meaning “Old Athens”, or from the presence of a “plaque” which once marked its central intersection. Plaka is located on the northeast slope of Acropolis, between Syntagma and Monastiraki square. 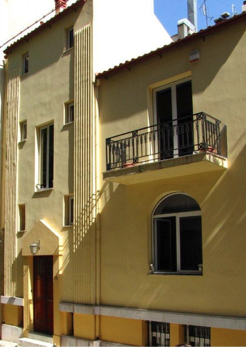 The ELGS Premise in Plaka is located in 2-4 Polygnotou st., just a block away from the Monastiraki Metro station. The EPLO premises in Sounion overlook the Aegean Sea and is located by the bay of Cape Sounion, where the ancient Temple of Poseidon rests. The ELGS students enjoy the beauty and the tranquility of a traditional collegiate setting amidst a landscape of unparalleled environmental and cultural beauty. Accommodation facilities, food and drink, entertainment and amusement, shopping and various everyday provisions are available within the lively settlement of Anavyssos, as well as in the neighboring resorts of Palaea Phokaea (less than 1 klm away) and of Saronida (5 klm away). The abundance of choices for activities makes the area attractive for permanent residents, for summer vacationers, for daily excursions and for short breaks from everyday stress and routines. Located on the bay of Cape Sounion, 64 kilometers from Athens and overlooking the Aegean Sea, the property is 32.500 square meters, and the building is 4.000 square meters. 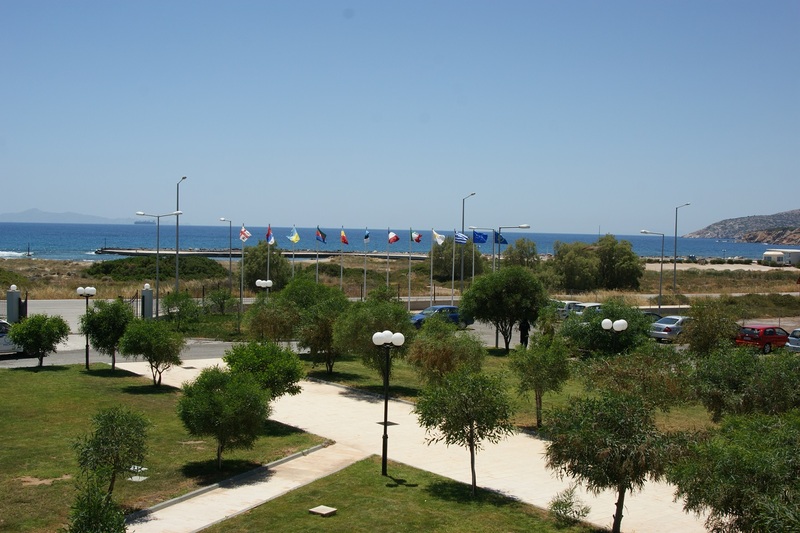 Facilities include a large scale conference room with a capacity of 500 persons with simultaneous interpretation for 4 languages, 4 seminar rooms with a capacity for 70 persons, a library of 35.000 volumes, a guest house with 2 suites and 11 rooms, a business center, a reading room overlooking the sea, tennis, volleyball and basketball courts, an outdoor theater and a large garden. Catering and additional student/professor accommodation is offered through partner hotels. The EPLO’s seaside premise is situated in Sounion, one hour away from Athens by car. Sounion is a popular tourist location where visitors enjoy the famous Poseidon’s temple with a magnificent view of the Aegean Sea and stunning sunsets and full moons. Sounion combines history with a landscape of unparalleled natural beauty. Its key tourist attraction is the ruins of the temple of Poseidon, which was built in 444 BC, in honor of the ancient Greek god of the sea. The substantial ruins overlook the Aegean Sea and is a popular site for visitors to view the sunset. According to legend, Cape Sounion is the spot where Aegeus, the King of Athens, jumped off the cliff, thus giving his name to the Aegean Sea. The story goes that Aegeus, anxiously looking out from Sounion for his Theseus returning from Crete, despaired when he saw the black sail on the ship. This led him to believe that his son had been killed in his battle against the dreaded Minotaur, a monster that was half man and half bull. The Minotaur was confined by its owner, King Minos of Crete, in a specially designed labyrinth. Every year, the Athenians were forced to send seven boys and seven girls to King Minos as a tribute. These youths were placed in the labyrinth to be devoured by the Minotaur. Theseus had volunteered to go and with the third attempt he managed to slay the beast. He had agreed with his father that if he had survived he would have hoisted a white sail on his boat. Nevertheless Theseus despite his victory against the Minotaur had tragically forgotten to hoist the white sail thus leading to his father’s death. More than 120 books on public law, and more than 80 issues of its quarterly multilingual journal, the European Review of Public Law, have been published under the scientific and editorial direction of the EPLO, while its library, the European Public Law Library, hosted at the premises in Sounion and exceeds 35.000 volumes. The Campus is located at the seaside, only steps away from the Aegean Sea with an outdoor open theater and a garden of 30.000 square meters. It is only 4 km away from the ancient Temple of Poseidon in Cape Sounion. 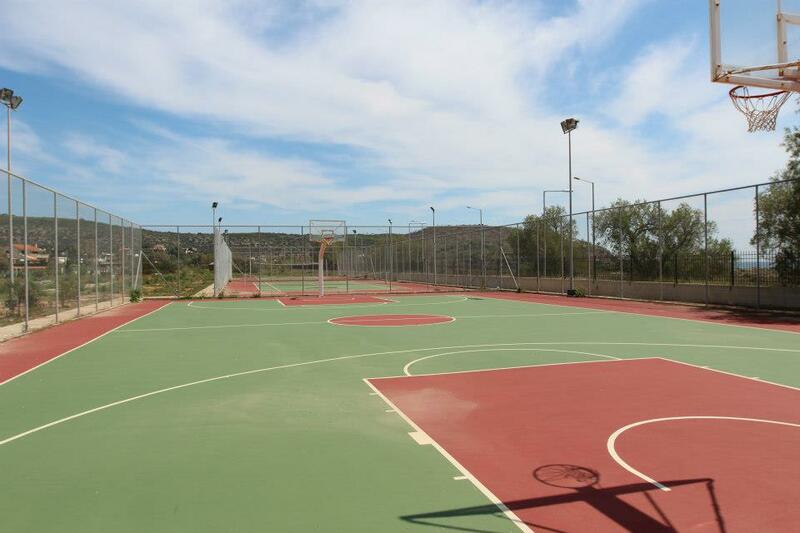 Students spend their free time practicing their favorite sports at the campus’ facilities, swimming and participating in water sports at the many nearby beaches and coves, engaging in outdoor activities such as bike riding or running, and spending time with friends on nights and weekends at the nearby town of Lavrio. A range of optional extra-curricular activities for the body and mind, providing you with the opportunity to explore the Greek nature and culture, are made available through our Student Affairs Department.. All activities are subject to attendance and prior notice is required. For more information please download our brochure and/or contact the Student Affairs Officer. The EPLO premises in Sounion is located 64 km away from Athens city center (an hour away by car), and 35 km away from Athens International Airport (half an hour away by car). You can reach the Sounion premises with public transportation by taking the KTEL ATTIKIS bus line with direction to Sounion from the center of Athens (Filellinon Street, Syntagma Square). This bus is usually orange and SOUNIO-ΣΟΥΝΙΟ is indicated on it. Ask the bus driver to make a stop at “Legraina”. For more information you may contact the KTEL customer service at (+30) 2108808080 – www.ktelattikis.gr. The EPLO Headquarters is located in the city center of Athens, in the area of Kolonaki, a short walk from Syntagma and Evagelismos metro stations. 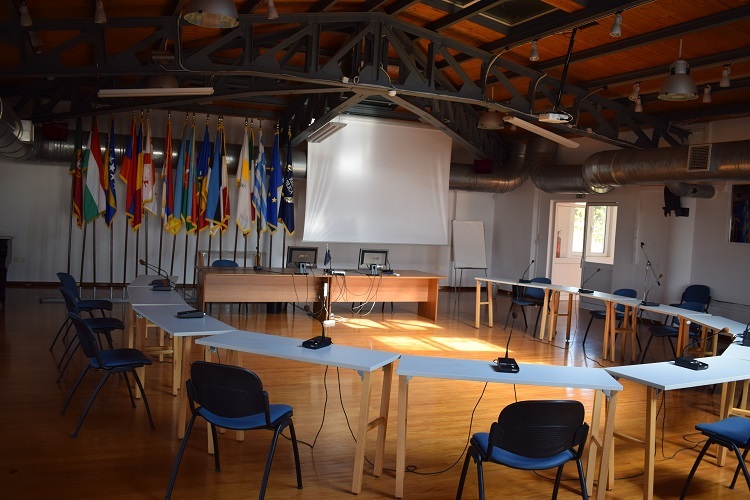 The EPLO’s Headquarters is a three floor neoclassical building which includes a small- scale conference room with a capacity of 130 people, where usually conferences, lectures, seminars and workshops take place. It is located in one of the most prestigious and pristine residential areas of Athens, in Kolonaki, just steps away from the business, shopping, vibrant entertainment and nightlife sites of Athens. The Athens Premise is easily accessible from the Airport by bus, train and taxi within 40 minutes.